Have you seen Meegos yet? They are a super cute new soft toy on the market that combines the cutest of a soft toy with the love of collectibles and they have been a huge hit in our house already! Meegos are no ordinary soft toy though! Every single Meegos toy is made in Bangladesh by a non-profit Fairtrade organisation which provides flexible and local employment. Each Meegos character takes 5 hours to make with a Mini Meegos taking 1.2 hours and the attention to detail is fantastic. Each one is unique and I loved knowing that each Meegos character is handmade. 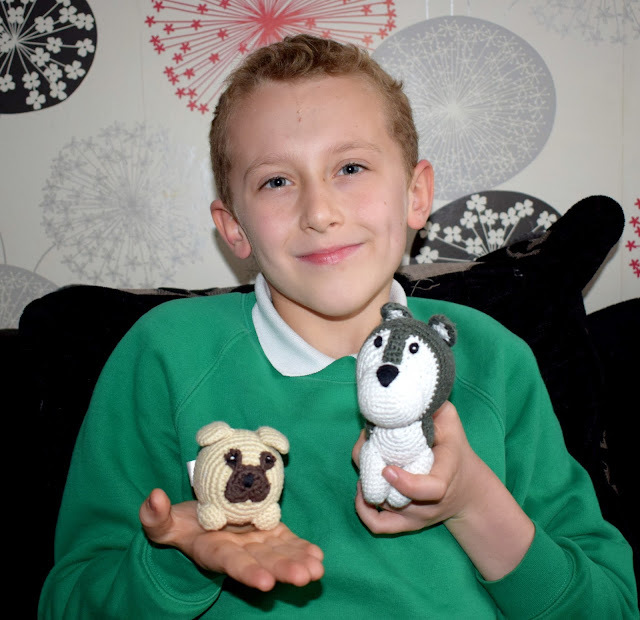 These have been a hit with both James and Evelyn who have loved their adorable new companions and the fact they are easy to carry around with them at all times. 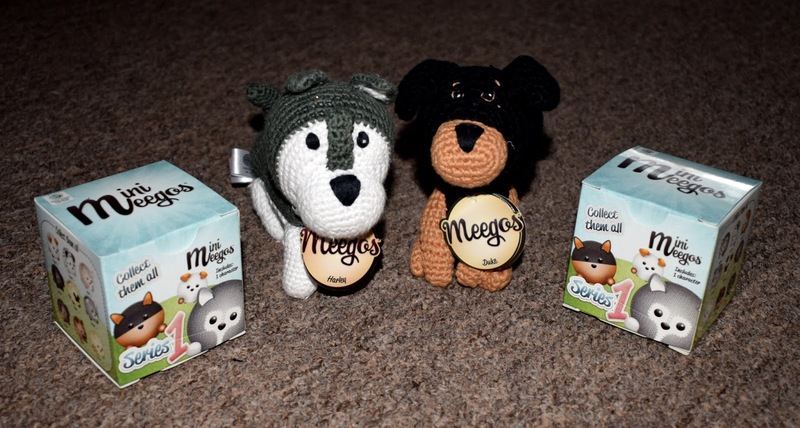 Every Meegos dog comes with a tag around its neck with tells you your new dogs name, where it lives and its favourite food which was a lovely personal touch. If you visit the Meegos website you will find Meegotopia which is where all the dogs and pups live. If you click on your Meegos character on the map you can read even more about them and their character. 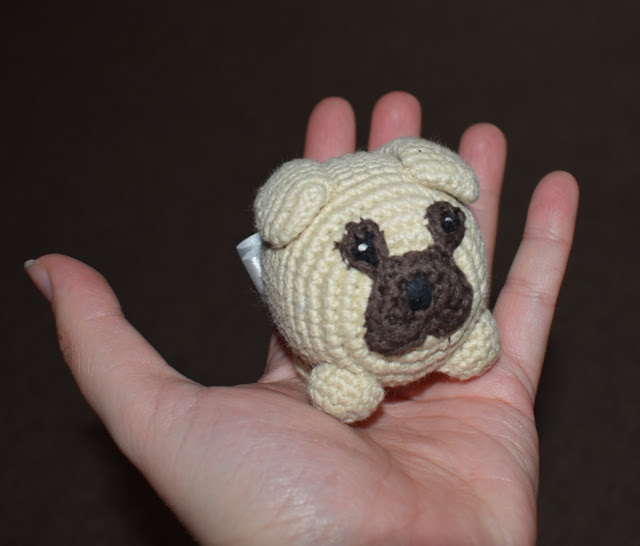 I've had a go at crochet myself and just about mastered the basic blankets and squares and so I can really appreciate the time and skill that has gone into making each of these. They feel really well made too, they have already withstood lots of cuddles and play from my two and still look as good as new. So when you buy a Meego your not just buying a lovely cuddly companion, You are helping Meegos to make a huge difference in helping over 200 villages in Bangladesh bring sustainable, regular and flexible employment for rural women. The first order of Meegos alone has generated over 4000 jobs and has given women a primary income source to help increase their standard of life. Pretty amazing right! The Meegos which are 5” in size have an RRP of £12.99, and the mini Meegos are which measure around 2” have an RRP price of £6.99. The Mini Meegos each come in their own surprise box too! If you love the look of Meegos as much as me why not enter my giveaway below! 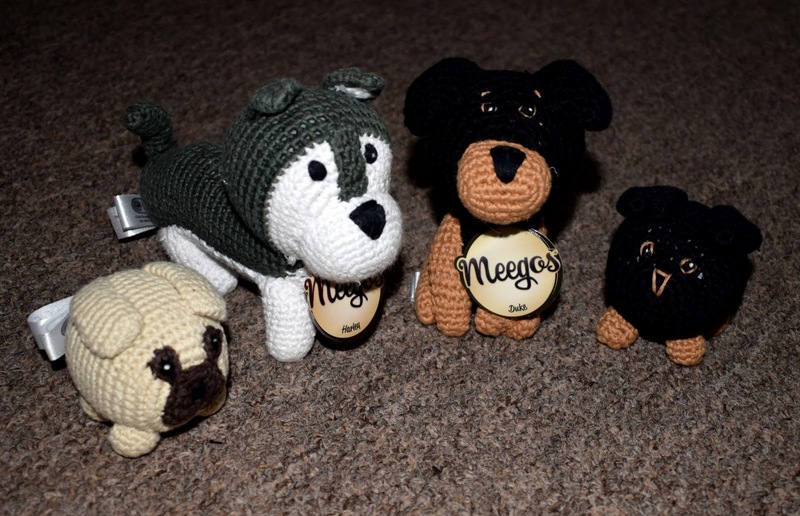 One lucky winner will receive a Meegos dog and a Mini Meegos surprise pup. The giveaway is open to UK residents only. I would love to win Spot, Meadow, Harley, Teddy and Hali. I'd love to win Trixie and Piper please - for my two little girls! these are very cute indeed! I like Piper and Poco, hard to pick are they are all lovely! I adore Harley and Doug the most, they are super cute! Harley, Buddy and teddy are the cutest in my opinion. Although they are all really sweet. I would love to win Meadow for myself and Doug for my daughter. They are both adorable! I think Spot and Buddy would appeal to my children the most. Ahh! They are so cute. I think my girl would want to win Piper and Poco the pugs. Luna is my little girls choice as it looks most like our dog Milo! I would love to win Wendy, Trixie and Dexter. Buddy would suit my 2 boys donwn to a tee! My daughter is dog obsessed so she'd probably love any but I'd have to go with Harley because he looks like her uncles doggo! I would love to give my girl Buddy as she would love it so much! Also Teddy. We have a jack russell that looks similar! sasha is defintely my fav although they are all cute!!! These are so cute and safe toys. My granddaughter would like to win teddy if she is lucky enough to add to her little collection. I love the fact that it helps a great cause. What a cute range. I like Spot the best but Meadow is also fun. These are so cute! Love them. Teddy and Buddy are my favourite! I love Harley as he is so cute! My kids would love to win Luna - she'd fit right into our family! Poco would be my choice, though they are all cute. I like the colour combination, particularly the brown floppy ears. Awww, that's a hard decision. A bit like going to a dog rescue and having to pick you favourite. :) But finally went for either DYLAN or TEDDY - just don't tell the others. These look fantastic. I'd love to win Harley for my daughter.